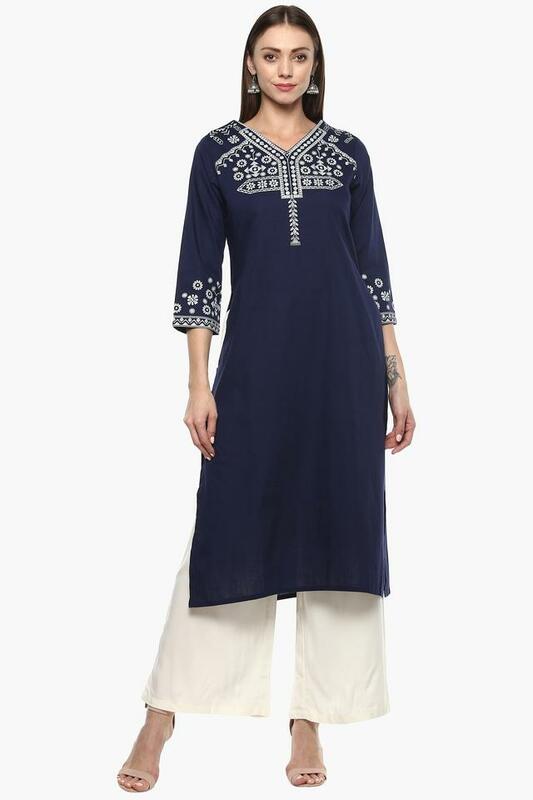 Get your wardrobe overhaul with this kurta from presented by Global Desi. Tailored with care using fine quality fabric, it is not only comfortable to wear for long hours but also easy to maintain. 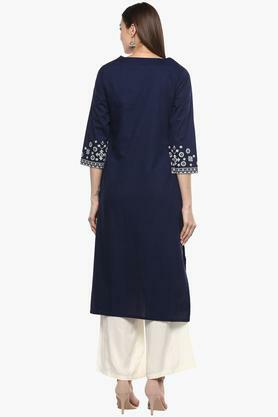 Besides, it features a solid pattern that lends it a stylish look, while the embroidered detailing accentuates the design. Take your style to the next level by wearing this solid kurta. It can be teamed with a pair of palazzo pants and wedge sandals for a smart casual look.